The roots of colic have been debated for decades, but even today, doctors aren’t quite sure what causes it. The Mayo Clinic reports that about twenty-five percent of all babies experience colic, and it occurs with about the same frequency in boys and girls, as well as in babies who are breast-fed and formula-fed. The Mayo Clinic also reports that infants of mothers who smoke during pregnancy or after delivery have a greater risk of developing colic than babies whose mothers don’t smoke. Some believe colic is the result of the infant’s intestines working too hard, which causes them to cramp up and cause pain. Others conclude that colic is the results of the child’s bowel movements which may be too slow, so that air in the bowel makes the intestines expand – and that causes pain. Some child care professionals believe that colic may have something to do with eating too fast, or that the baby may be swallowing too much air without burping. A prominent theory is that there is a link between the nursing mother’s diet and her baby’s colic. The assumption is that food that produces gas in the mother will produce gas in the baby. This theory cannot be proved as some mothers who eat “gassy” foods have babies who never experience colic, and x-rays have shown that when babies cry they have much less gas (or air) in their stomachs than when they are not crying. Everything from digestion problems to “spoiling” the baby, to inherited bad temperaments, and even the time and date of the baby’s birth have been cited as causes of colic. While many theories have been accepted and then abandoned, the definitive cause of colic is still being debated. Dr. Harvey Karp, noted pediatrician and author, has written about the missing “fourth trimester” as a cause of colic. What is the fourth trimester? In pregnancy, the word trimester means “three months.” This may sound confusing because a normal pregnancy is forty weeks which is a bit longer than nine months. Nevertheless, doctors and pregnant women talk about trimesters to help give the pregnancy a beginning, middle and end, which add up to nine months. It takes most babies an additional three months to adjust living in the outside world and that the time between birth and the end of the age three months is what Dr. Karp he calls the missing “fourth trimester.” Briefly, this theory is based on the fact that human babies gestate for only nine months, but many mammals gestate for far longer. The “fourth trimester” is that the extra time in the womb enables infant animals such as colts, elephants and many others to stand, walk and even run immediately after birth, while human babies can do nothing more than cry, sleep and feed at birth. They can’t smile, coo, stand, or even see clearly. At birth an infant can detect light and motion. At three months a baby can see faces and can follow an object such as a rattle as it is moved side to side (this is known as tracking.) At four months a baby can detect an object that is about a foot away from him and will reach for it. Eyesight continues in develop and by six months a baby can tell the difference between objects such as toys and a bottle. By age eight a child with no optical abnormalities has 20/20 vision. Life inside the womb is noisy. The developing baby hears a constant background of digestive noises, the maternal heartbeat and the whooshing sound of blood through the placental arteries. There is evidence that by the third trimester the fetus responds to sounds it hears. Researchers have noted fetal heart-rate increases in response to tones it hears through the mother’s abdomen. In addition, the baby experiences constant motion that occurs every time the mother moves, sits, stands or walks. Dr. Karp argues that once babies leave the motion and sounds of the womb, they want to be in an environment that simulates environs of the womb. Thus, there is a correlation between short gestation times and colic and the reason for the fussy newborn’s poor state of self-control and self-calming ability is due to an immature brain. That is why over or under stimulation can result in the flailing of the arms and legs and loud crying. Also, a baby with a sensitive temperament can have a greater reaction to pain from food and allergies or acid reflux. In addition, it is believed that constipation and gas can cause discomfort that provokes crying in babies with brain immaturity. Dr. Karp summarizes his hypothesis with a system that uses the five “S’s” – swaddling, side/stomach holding, shushing, swinging, and sucking. 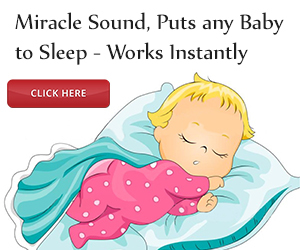 This, he says, stimulates the conditions of the womb and activates the baby’s calming reflex and can relieve crying and colic in babies. Do you have any experiences with colic or solutions you can share with our community? Leave a comment in the box below! 4 replies to "What Causes Colic?" My daughter was colic for what seemed like the first 6 months, in fact, she still has trouble with gas, therefore we must be careful what we feed her. When she was little I used to bounce with her on an exercise ball and then lay her in her baby swing once she calmed down or fell asleep. It was the only way to get her to relax! It is no question the reason why insufficient sleep is a form of conflict pain. We give thanks to ColicCalm for restoring peace within our residence. Limitless gratitude! Thank you, I have been hunting for details about this topic for ages and yours is the best I’ve discovered so far.